Pakistan is plagued by power cuts, lasting up to 22 hours a day in the blistering summer in parts of the country, blighting ordinary people's lives and hampering the economy. But in Kashmir's upper Neelum Valley—part of the disputed Himalayan territory known to locals as "Heaven on Earth" for its unspoilt beauty—hundreds of families have chosen a more environmentally friendly option, setting up small-scale hydro projects to produce electricity for a few hours a day. 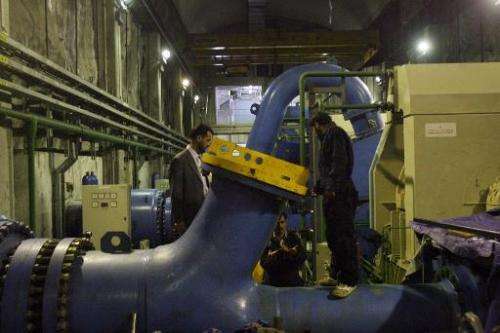 "The turbine was paid for with contributions from 50 families and cost us 300,000 rupees ($3,000) in total," said Rahimullah, 35, who operates a turbine machine. Some were moved by necessity—less than half of the Neelum Valley's 200,000 inhabitants have access to electricity from the grid. Small turbines are driven by the flow of water to work generators to produce power, and the 200-kilometre (120-mile) Neelum river that forms the picturesque valley, as well as its tributaries, give the area great potential for hydroelectric generation. Shafiq Usmani, the deputy director of the Hydro Electric Board of Neelum Valley, says up to 3,000 MW could be generated, while the area's demand is only 15 to 20 MW. The growth in hydropower has an important knock-on effect—with an electricity supply, there is less reason for residents to cut down trees for cooking and heating. "All the beauty of the Neelum Valley is dependent on those forests and streams, and this can only be sustained if we give them clean energy," Usmani told AFP. 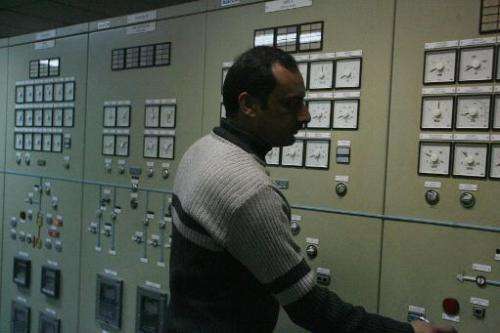 One local, Mushtaq Ahmad, said the move to electricity had made a huge difference to his family's health. "When we had no electricity for lighting there was always smoke in our house, as we used wood for heating and cooking which causes different kind of diseases," he told AFP. "Since we installed this small hydro project for the past three years, thanks be to God, we have got rid of these diseases and also got some other benefits." Chaudhry Latif Akbar, the territory's finance and hydroelectric power minister, said the long-term plan was to export power to the rest of Pakistan on a large scale. "The total identified hydro energy potential in Kashmir is approximately 8200 MW and we are currently producing 1130 MW," he said. "The total need is approximately 400 MW. We will try to use our resources to produce electricity to help out Pakistan to overcome its ongoing energy crisis." More than a dozen armed rebel groups have been fighting Indian forces since 1989 for the region's independence or its merger with Pakistan. Hydropower has also been a source of friction between the two sides, with India objecting in the past to major dam projects on the Pakistan side.